Can we get a buff to the Exalted and High Legion quests? Because right now it's pretty bad compared to Dreadrock legion farming, more so if you consider that you spent 1k Acs or 1k Legion Tokens on High/Exalted Legion Champion. Ronin Fox/Kitsune armor set for Shogun of Shadows anyone? 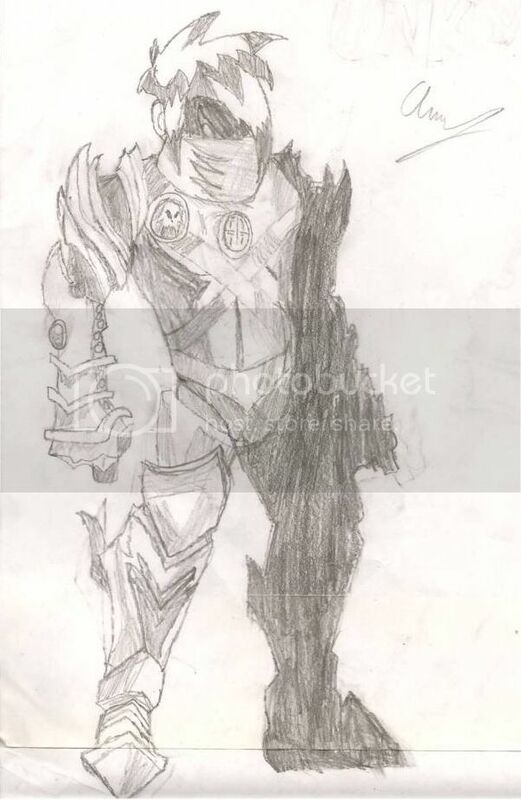 Hello, my AQworlds name is Auruz and I think it would be great if you add these armors I drew back in the day (2011, 2012). Brawler of Auruz Description: After a lot of experiments I managed to create the perfect warrior myself. Are you ready to work for me? Undead Destroyer Description: My purpose? I have no purpose but destroy everything. I hope you like them. I am looking forward to draw more stuff in the future. I still have hope in this videogame, let's revive it together. You know, I was just looking into my Buy Back and looked up Astral Guardian on the wiki. Now there's practice that should return; AC-purchasable options to Membership Package sets. Astral Guardian (Special) comes from the Book of Lore with the wiki mentioning, "This shop is unlocked by purchasing the 5,000 AC Package or 3 Month Membership Package between April 12, 2013 and April 24, 2013." In that regard, the AC option was sold in a shop in Battleon promoting it, Astral Guardian (Battleon) in this example's regard. For people that may not be in a position to purchase Upgrade, they should at least have the option to buy the items in said shop(s) for ACs, in this case, Ragnar having a shop for the current promotion of Infernal Naval Commander set. 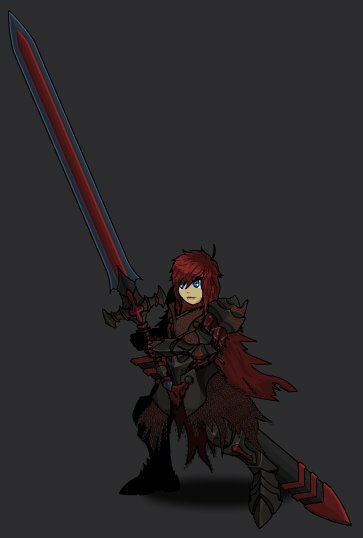 Edit: A bit late, but the idea considered, I suppose it would have been better set in the Item Set suggestions, but placed in Armor since, the idea was inspired by an Armor. Edit 2: Another example I've noticed of this being done more than once, ironically enough, was back in the days of OG Lightcaster. Once again, it was both an Upgrade Package, and there was an independent shop to purchase the AC Non-Upgrade Items for ACs. The female version it still crazy cute. (DISCLAIMER: I DO NOT KNOW WHO MADE THE ARMOR ORIGINALLY, WHETHER IT IS GAME-DEVS OR SUBMITTED SOMEWHERE, I AM NOT SURE. Here is the armor I would like to suggest, this first one was a joint collaboration between me and ItzHikari. I had fun making this armor! 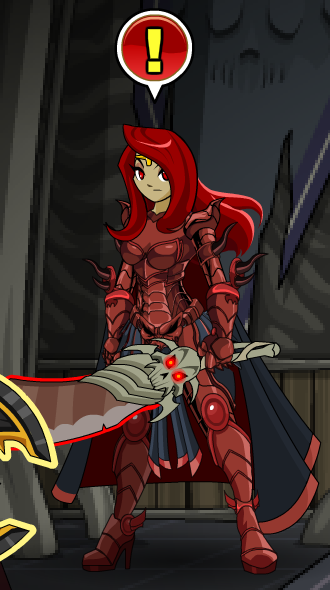 In fact it's my first ever AQW armor I've worked with. This set would work well for Cyber Monday. This next one is the original armor set designed by me, I call it VHX's Armor. (If possible, I'd like to have this version for myself only) I know it's a bit selfish, yet I'd be extremely grateful if I was the only Me, you know? Being able to stand out would be cool. I suppose I'll suggest something pretty small and simple. I'm hoping to suggest a dark variant of Archfiend Berserker Helm and Fiendwarrior Helm just so I could find a good helm matching my Dark Berserker. 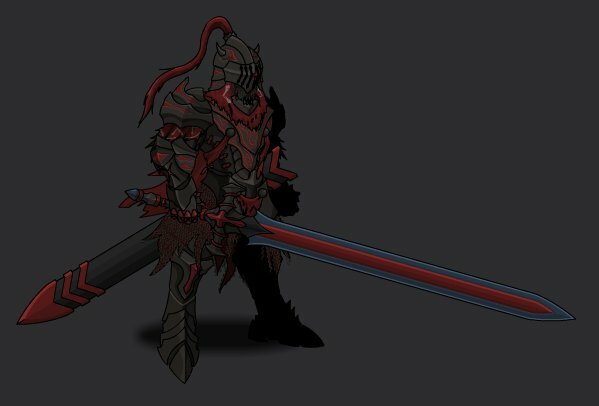 Quick edit, sorry I forgot to write this in when i was re-writing these posts, i must give credit to the dark lord himself Dage the Evil for creating the original armours and giving me the ability to mold them into something i think the community would enjoy, all credit goes to him for these pieces. 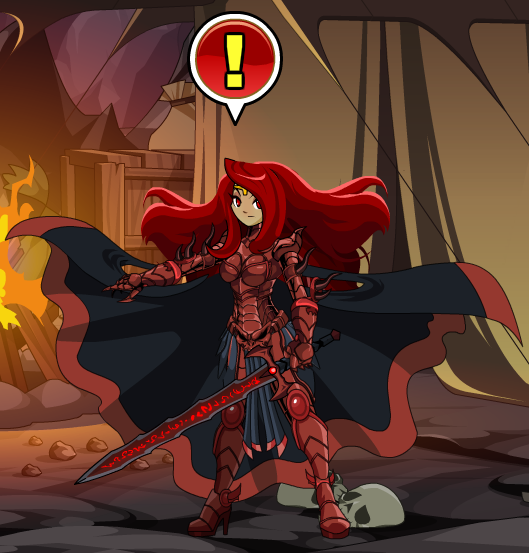 Can we get the longer, more flowy version of Gravelyn's hair, that is seen on some of her NPCs? Here is my nulgath void set concept art! How bout gravelyn's bikini armor that's based off of princess leia's from star wars :D? It might be a longshot, but how about a gold recolor of the Void Defender / Dark Dragon Defender armors? Alternatively, given the popularity of the DOOMfire armor variants, perhaps a gold recolor to complement the silver Champion of Light set is in order? I must give credit to the dark lord himself Dage the Evil for creating the original armours and giving me the ability to mold them into something i think the community would enjoy, all credit goes to him for these pieces. EA could release this item for who have the old Soul Harvester. 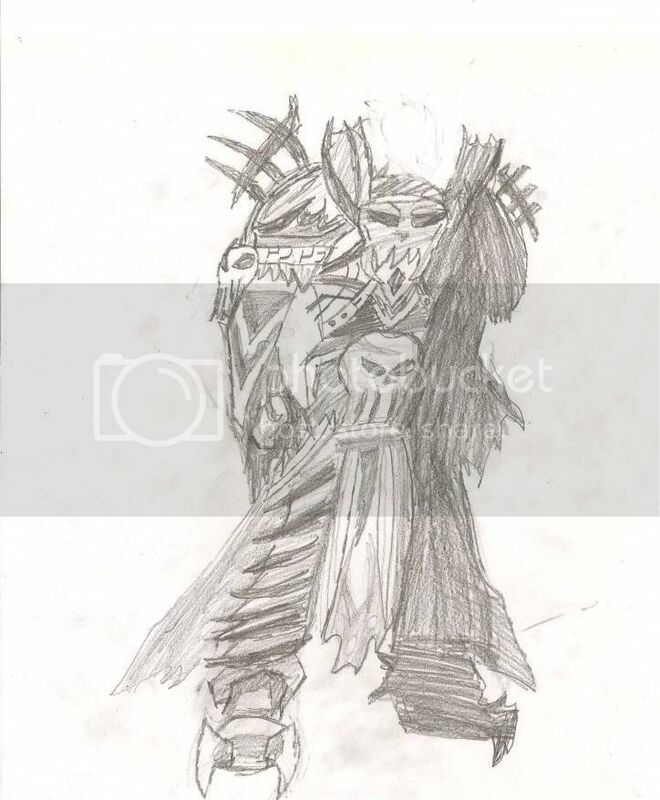 My suggestion is combining the Legion Lich Lord + Staff with the Legion Lich Lord's Scythe to create an upgraded version of the armour. 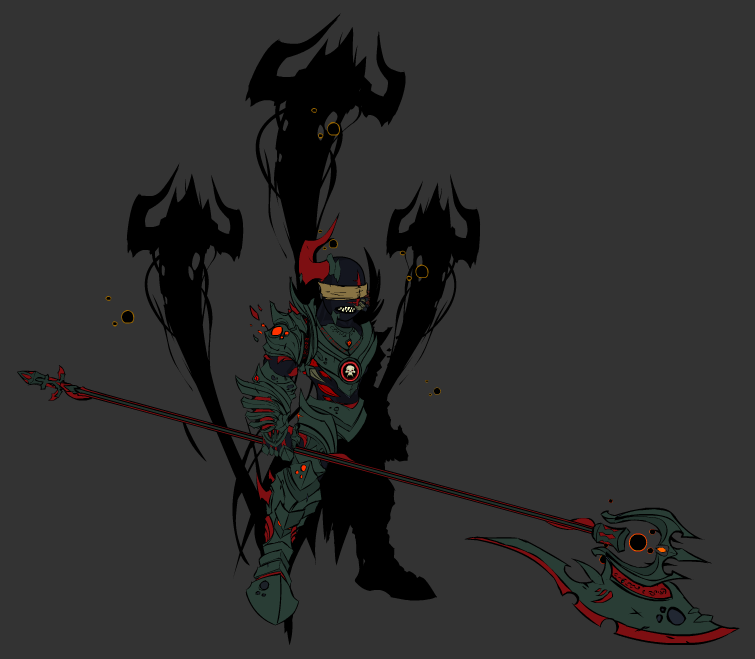 Legion Lich Lord + Scythe. While not an art suggestion, could the Thanatos Helm be given Awethur's Accoutrements' boosts (i.e. +25% to exp, gold, rep, and class)? Given the rarity and difficulty to obtain, it's massively overshadowed by basic items. Kill La Kill armor like Senketsu and Junketsu, as well as the Elite Four's outfits? Or maybe the Xmas Elf/Dark Elf set next Frostval?